NuGet Gallery | Packages matching Tags:"Keys"
23 packages returned for Tags:"Keys"
Recommended Google client library to access the Google Key Management Service API, which manages encryption for your cloud services the same way you do on-premises. You can generate, use, rotate, and destroy AES256 encryption keys. Adds support for creating, enforcing, tracking, and managing developer API keys in your ASP.NET MVC projects. 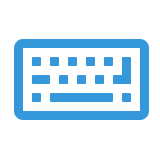 Allows you to listen for Global Keyboard and Mouse events so even if your application is inactive, it'll still capture Mouse and Keyboard input. This can be used to make global keyboard shortcuts for example. Camelcase Keys (camelcase-keys) binding library for Bridge.NET projects. Eslint Visitor Keys (eslint-visitor-keys) binding library for Bridge.NET projects.